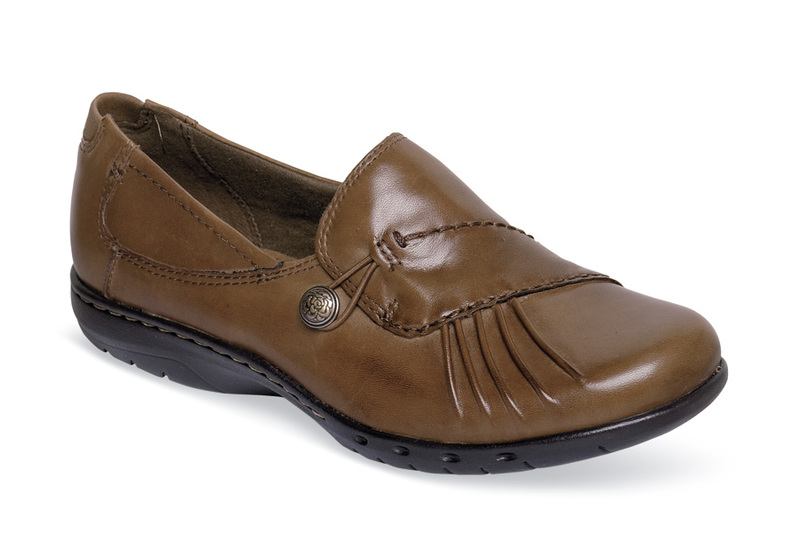 Graceful and sophisticated, the almond "Paulette" slip-on from Rockport’s Cobb Hill fashion line is a stylish loafer with pleated vamp design and a hidden elastic instep gore for easy, secure fit. Brushed fabric linings. Deeply padded insole. 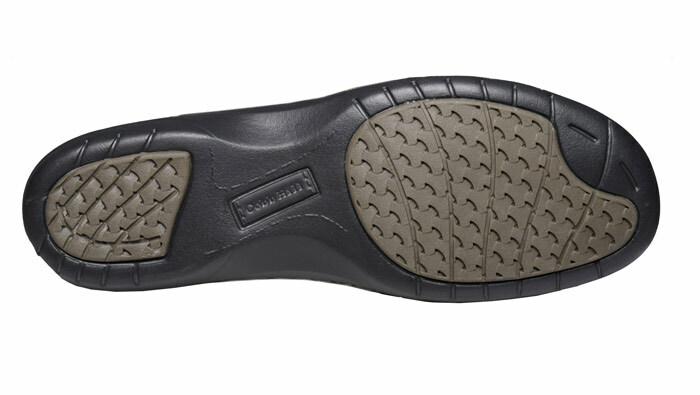 Flexible, long-wearing outsole with one inch heel height. Limited stock in a roomy 2E fit in sizes indicated.